Ivan Barnev as Jan Díte, Martin Huba as front waiter Skrivánek, and Tonya Graves as the Emporer of Ethiopia in "I Served the King of England." Ivan Barnev as Jan Dite and Julia Jentsch as Liza in "I Served the King of England." Martin Huba as front waiter Skrivanek and Ivan Barnev as Jan Dite in "I Served the King of England." Martin Huba as front waiter Skrivánek and Ivan Barnev as Jan Díte in "I Served the King of England." A dancer entertains guests at the Hotel Tichota in "I Served the King of England." Ivan Barnev as Jan Dite in "I Served the King of England." 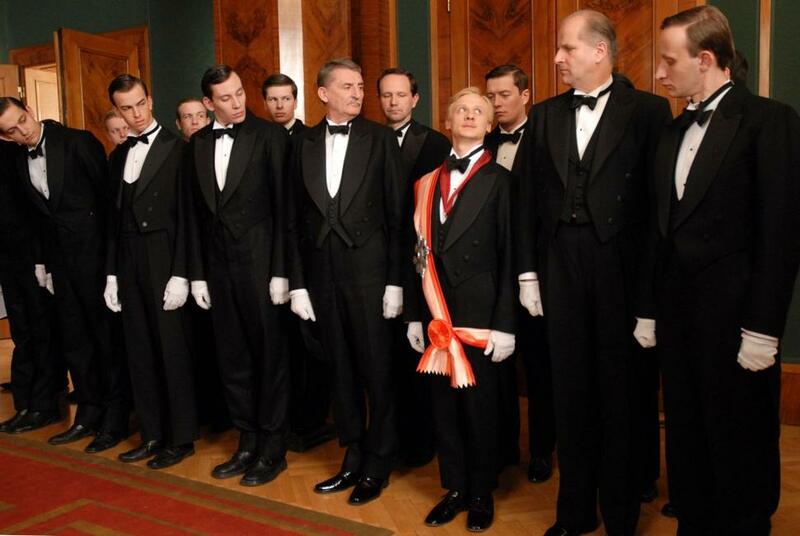 Ivan Barnev as Jan Díte with staff at the Hotel Tichota in "I Served the King of England." 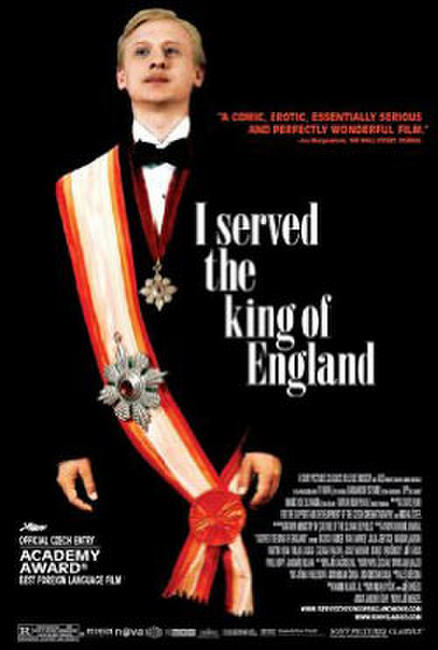 Poster art for "I Served the King of England."